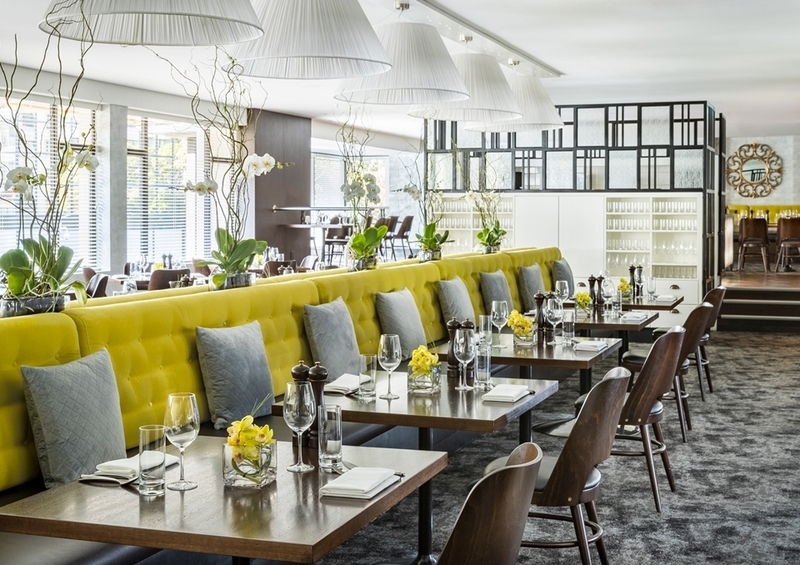 Cordis, Auckland is an upper upscale modern hotel in Auckland. 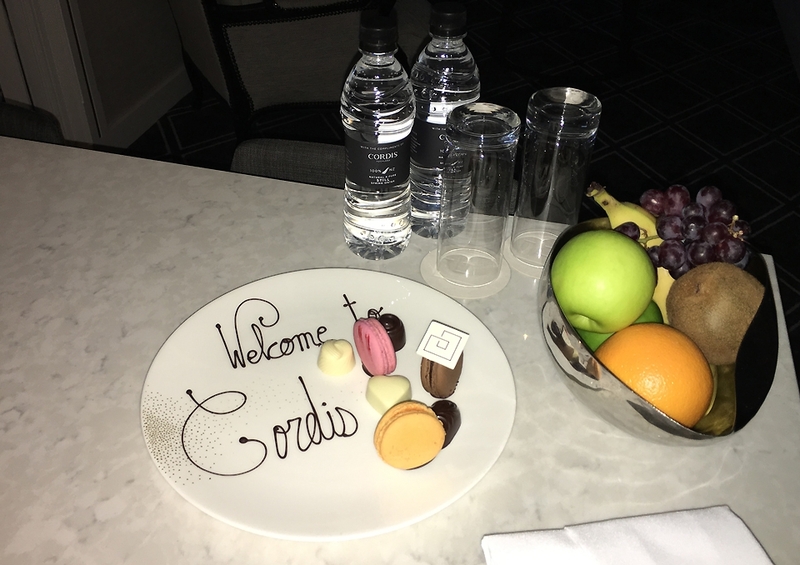 Cordis, Auckland is the flagship hotel in the South Pacific. 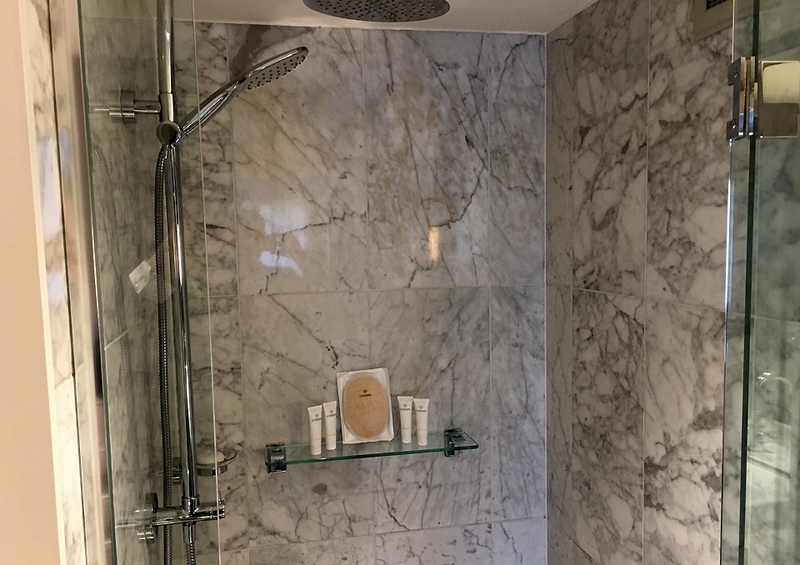 The hotel has 411 rooms and suites, an exclusive Club Lounge, state-of-the-art meeting spaces, a fitness studio, swimming pool and the award- winning Chuan Spa. 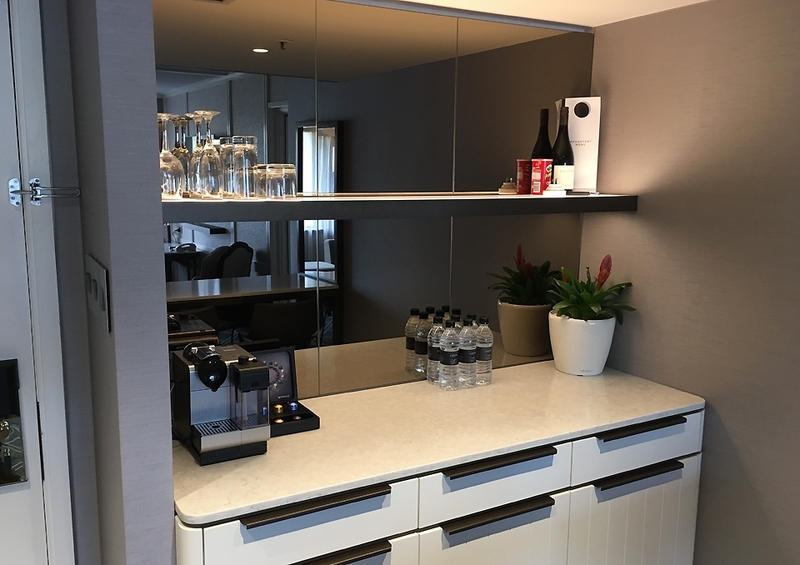 Located at Symonds Street and surrounded by a vibrant neighbourhood in the heart of Auckland, the hotel is set to impress. A taxi ride from Auckland airport costs approx $65.00-$80.00 depending on the time of the day. An Uber ride would cost between $40 to $50. The Cordis, Auckland also offers limousine transfers to and from Auckland airport. At the entrance to the hotel you’re met by a pleasant concierge team who quickly take care of the baggage as you walk to the reception area to fulfill check-in requirements. Attentive and professional staff ensure a quick check-in. As you work your way up into the hotel, a bright and vibrant lobby welcomes you. 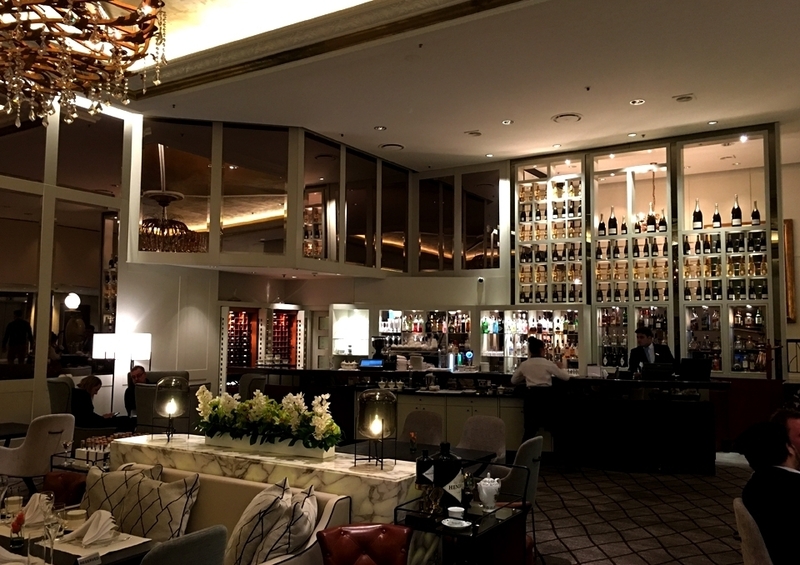 The Lobby Lounge serves High Tea by Cordis, cocktails, drinks and signature Cordis-branded New Zealand beers. 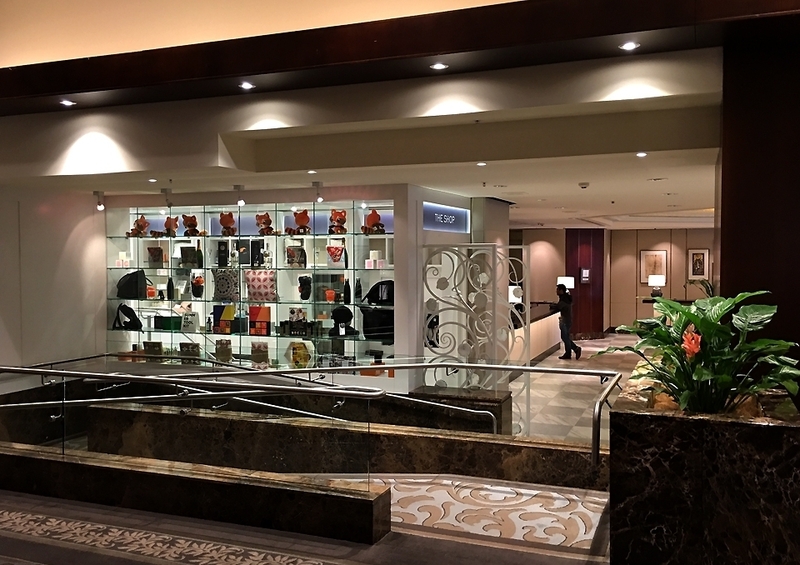 The lobby also features a gift shop that offers exclusive Cordis branded products and New Zealand gift and souvenirs. Cordis, Auckland boasts of 11 floors of quality accommodation comprising of 411 rooms and suites. Average room size is 41 sq.mts. My choice of room was Junior Suite. Junior Suites are located on floors 3-5 of the hotel and are over 50 sq mts with ample of space to enjoy as well as entertain. A separate sitting area for entertaining with a kitchenette allows you to ensure you live it up in style. 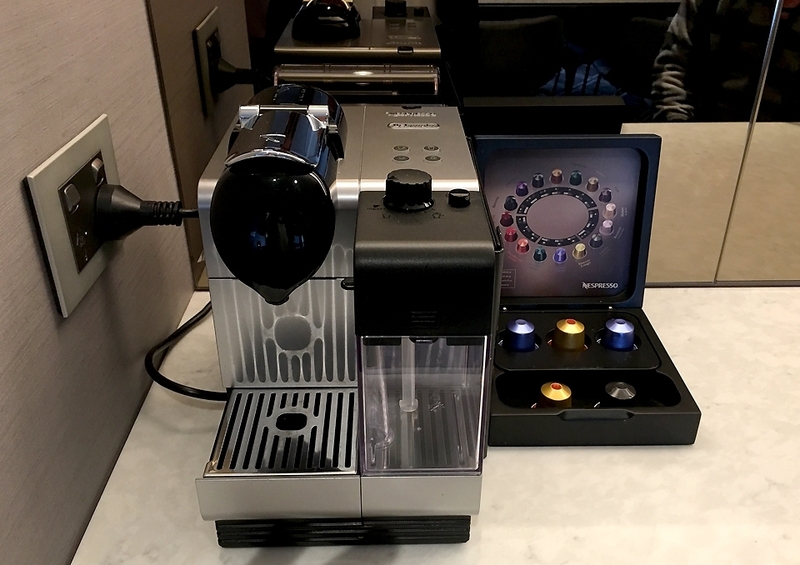 And so is a Nespresso espresso maker for that early morning coffee fix. 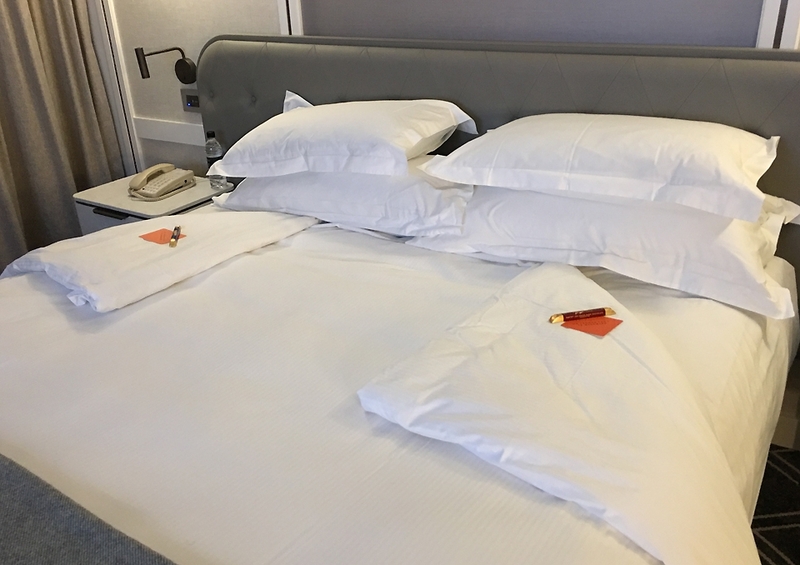 The very plush and luxurious Dream Bed is super comfortable and the crisp cotton linen is as inviting as it can get after a long day’s work. 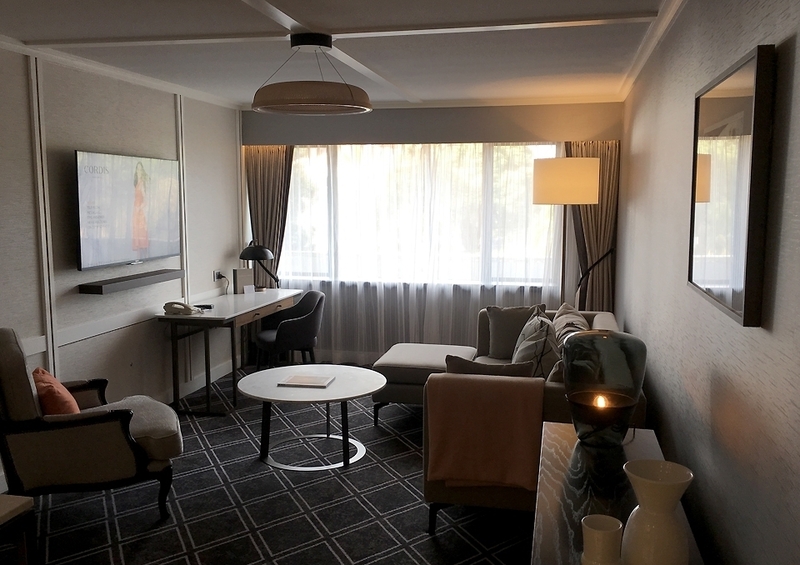 The room has two 49 inch televisions, in the sitting room and one in the bedroom with local and domestic channels including top movies and flicks to select from a pay per view menu. 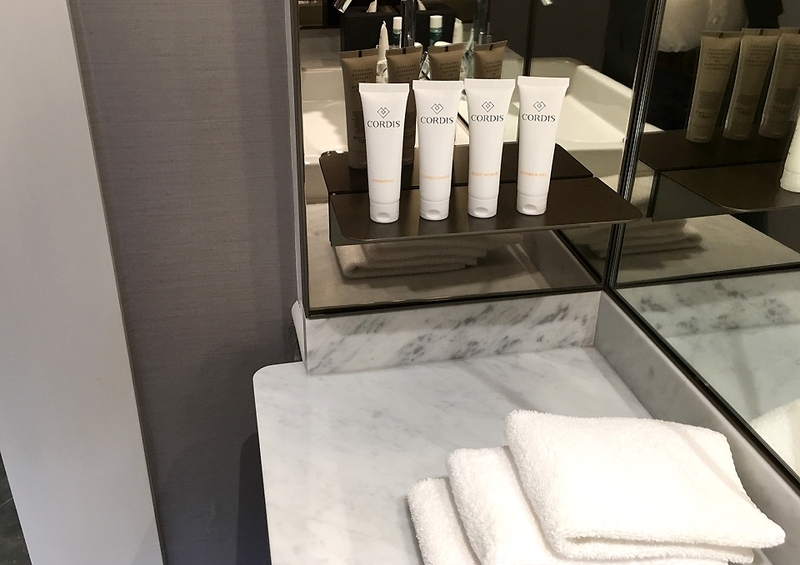 The room has all the amenities that you’d expect of a Cordis Hotel. 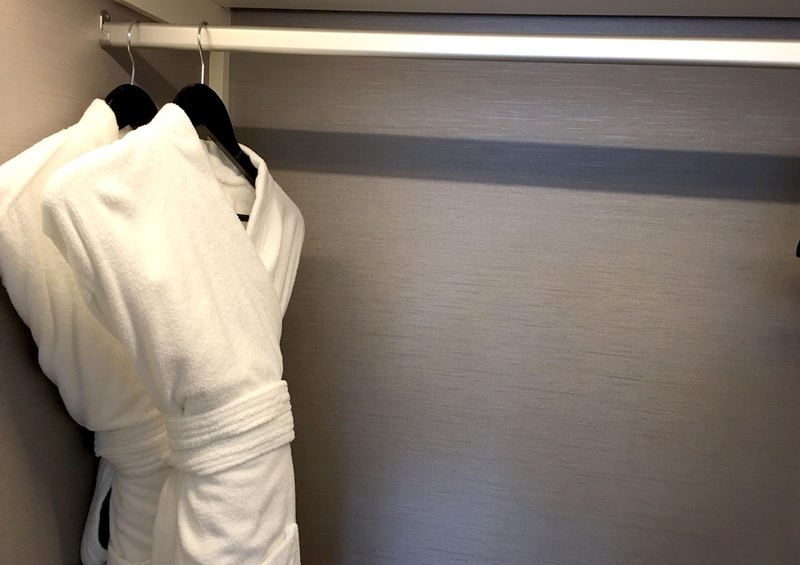 Cotton bathrobes and the safe can be found in the wardrobe in the room. 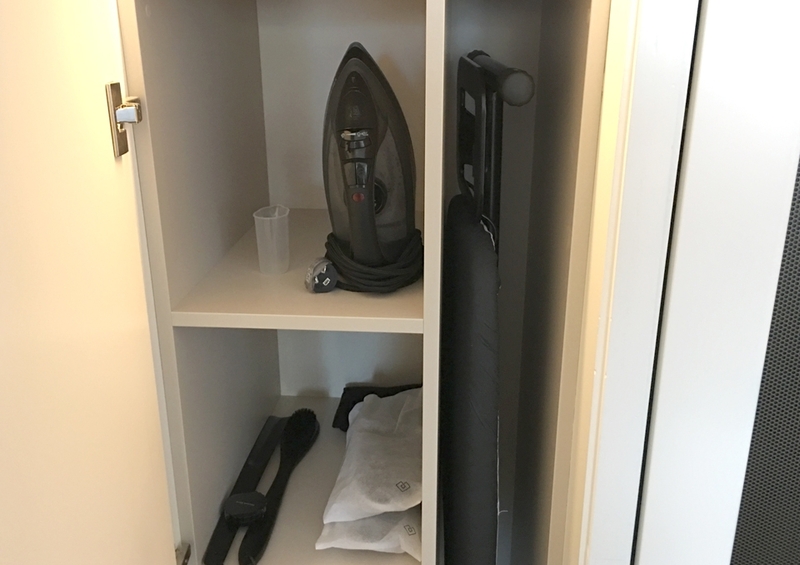 An ironing board and electric iron is readily available too. 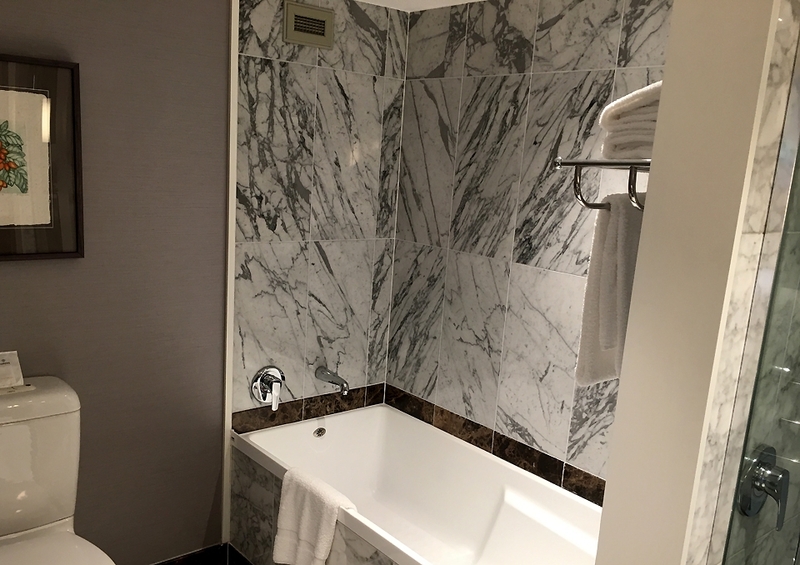 The bathroom comprises of a bathtub with luxurious marble tiling. The vanity is cleverly conceived and maximises the space. Well thought of and with everything in reach as you’d expect it to be. 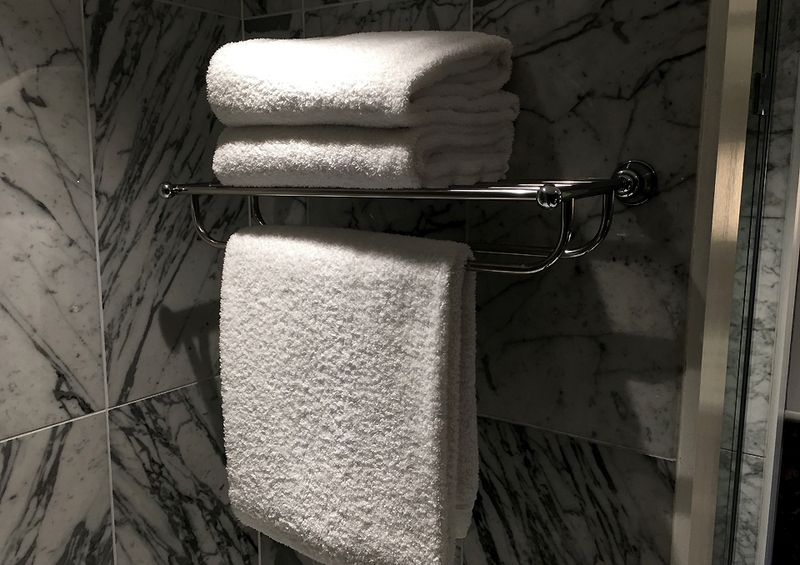 The vanity offers luxurious skincare products.Towels are well soaking and soft. 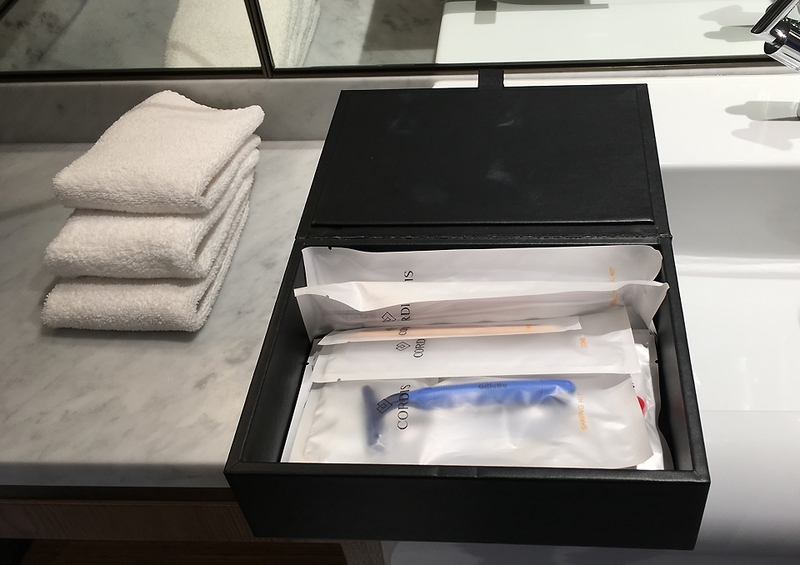 The vanity kit holds all the necessities that you may require, ready to use. 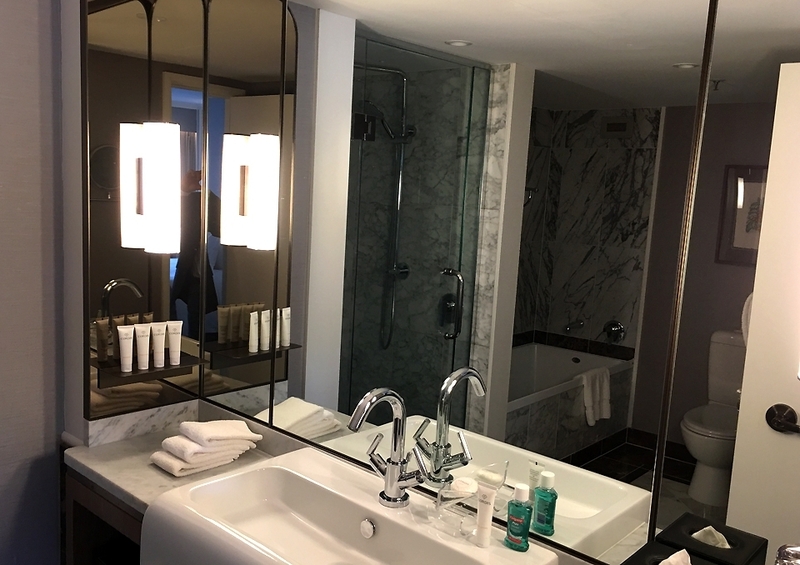 A large wash basin with surrounded mirrors gives a larger, spacious feel to the bathroom. The work desk and chair proved comfortable for several hours of work with easy-reach desk-level outlets for power-hungry laptops. There are USB charge points that enable for fast charging of devices. The lamp provides for sufficient lighting and there ample natural light coming through that makes work more pleasant. 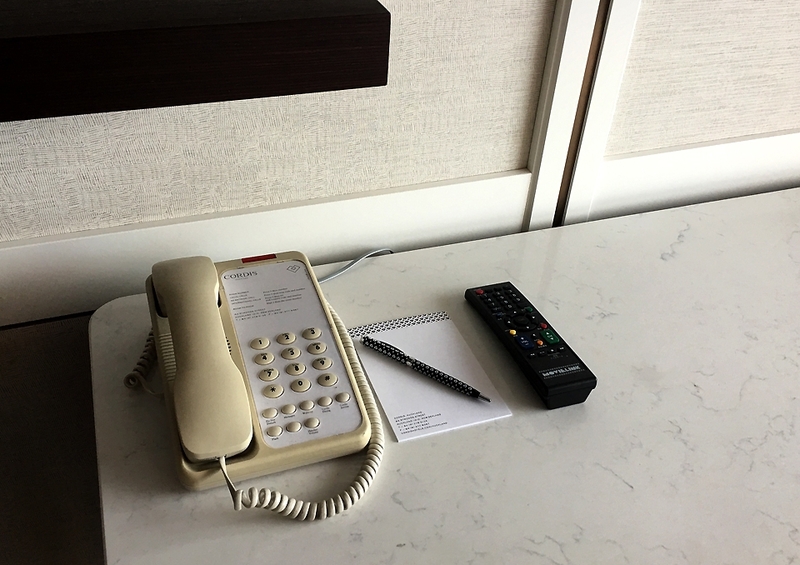 There is a Voip phones with international and local calling. WIFI internet is complementary. 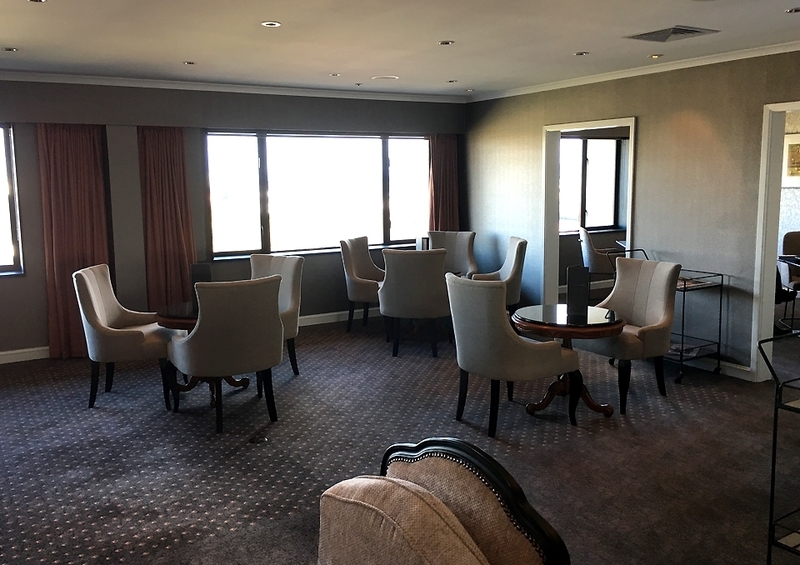 The extended work days and casual meetings, one can head to the Club Lounge that Junior Suite guests have exclusive access. 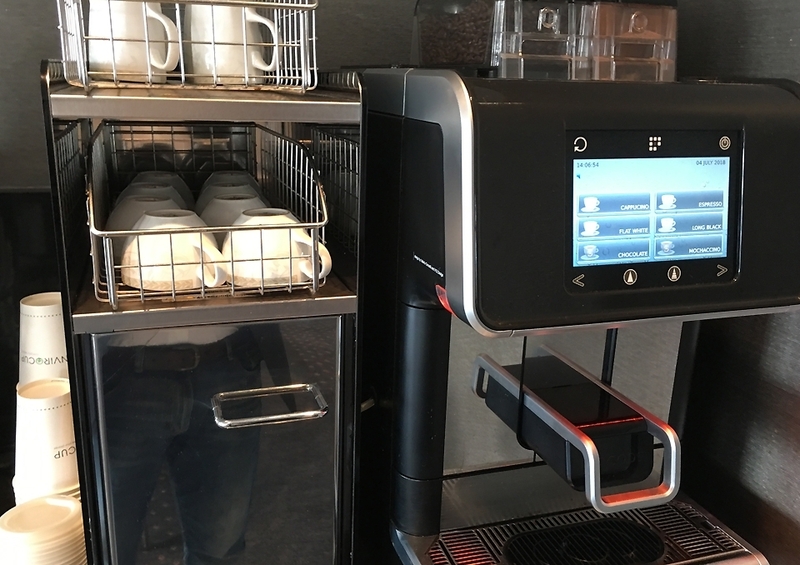 The Club Lounge offers tea and coffee making facilities along with light refreshments all through the day. Complimentary WiFi is offered at The Club Lounge. 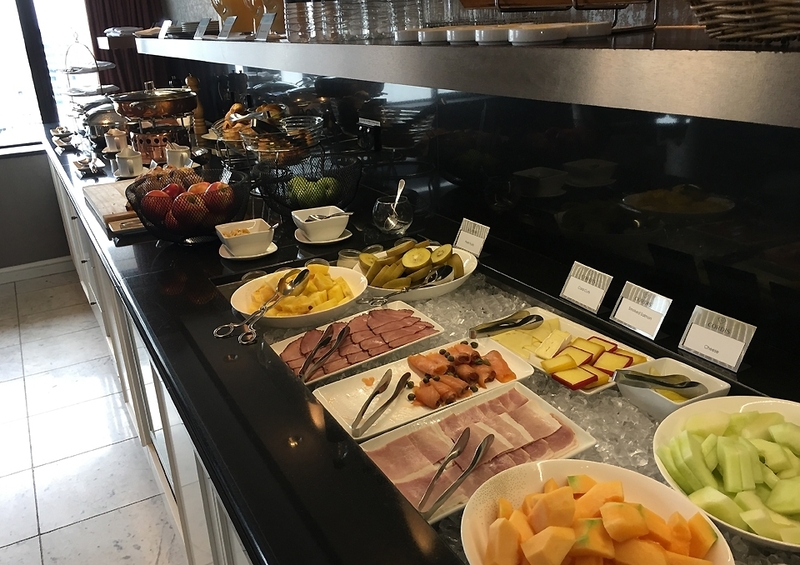 A decent spread of fresh fruit, yoghurts and cereals along with cooked breakfast. 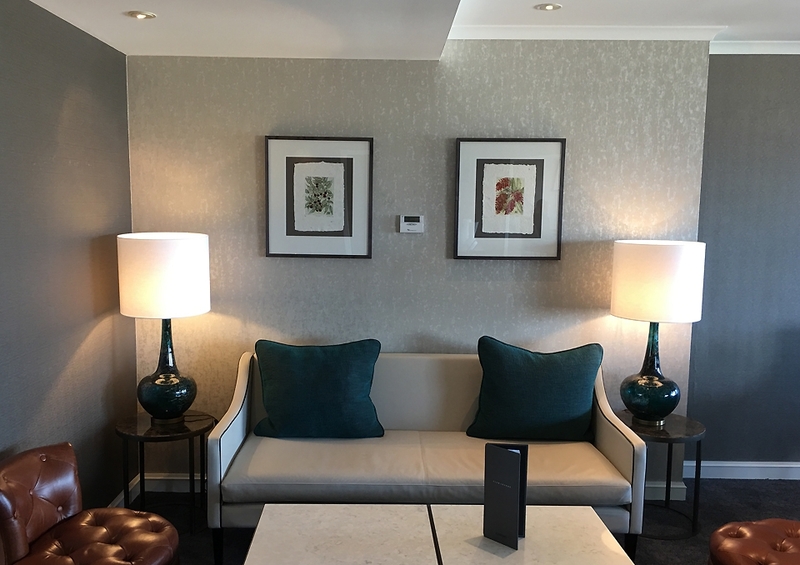 Seating at The Club Lounge is comfortable and relaxed in a lounge setting with attentive service on the floor. 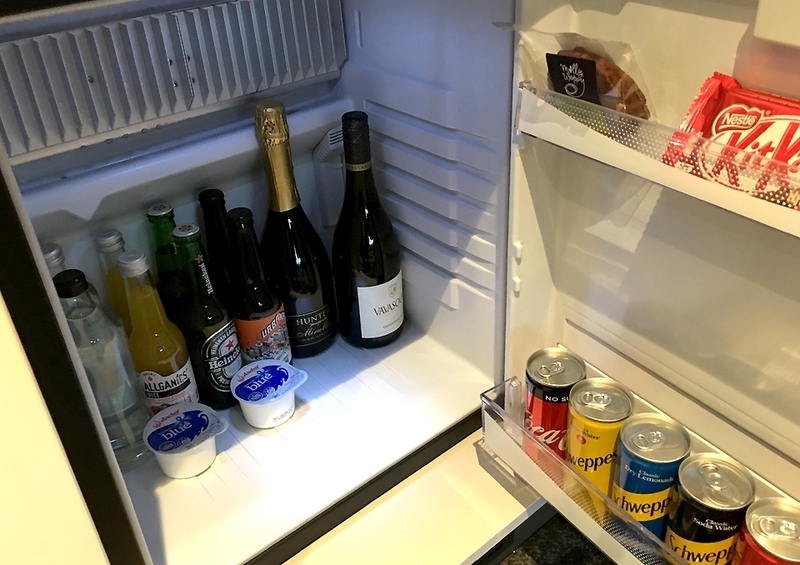 The room service menu is impressive and has a good selection if you’re feeling like a bite in the room. 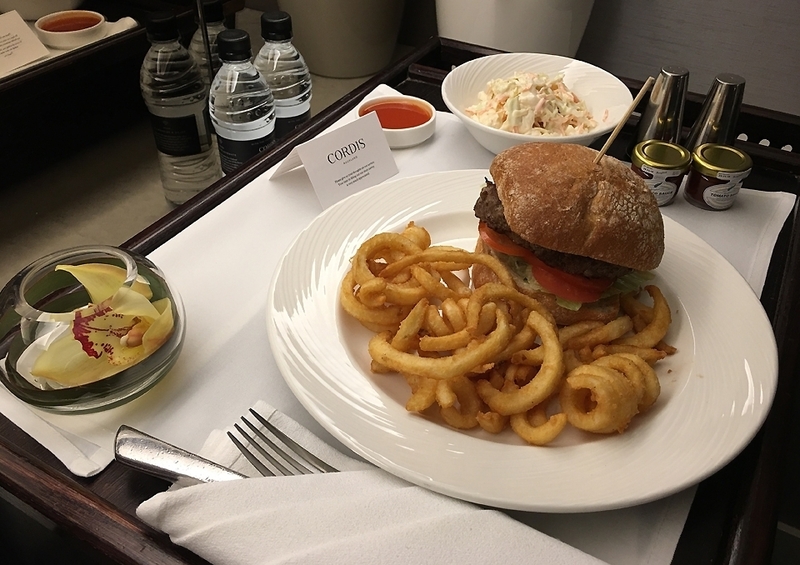 Room service orders come with a $10.00 room service delivery charge and so you’d expect the quality of the food to be par excellence. Unfortunately my beef burger didn’t tick all the boxes. The beef patty was dry and lacked flavour. But it was accompanied with a large bowl of coleslaw which was great. 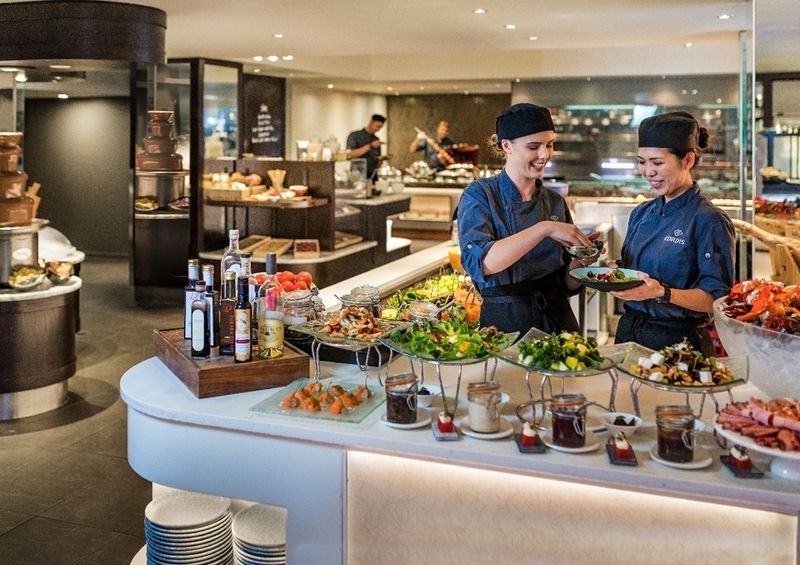 The dining scene at The Cordis is as exciting as the hotel itself. 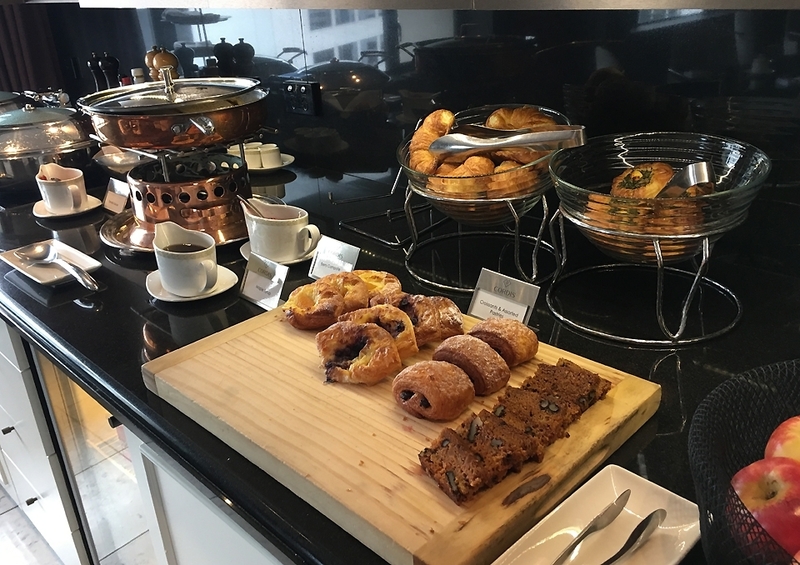 As a part of The Club Lounge access, guests are invited for canapes and drinks in the evening. A great way to unwind from a busy day. Featuring leading New Zealand wines and Cordis branded speciality beers, its a great way to start the evening. 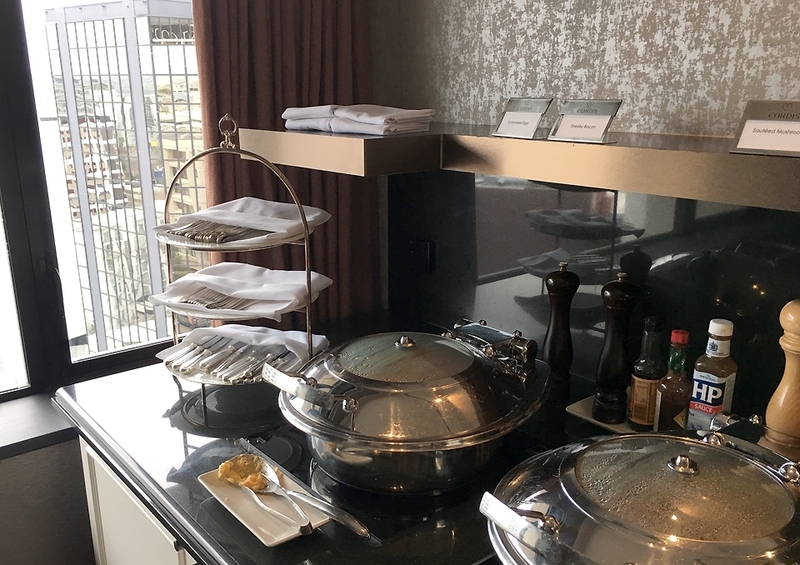 For dinner, head to Eight, The Cordis’s interactive kitchen restaurant featuring eight interactive kitchens to choose your meal from. Starting from salads to sushi, Italian, Indian, an interactive grill serving New Zealand’s top cuts of meats, a seafood joint and desserts galore, Eight is set to feast your eyes before your belly. Talented chefs await your instructions to cook your meal to your and this is backed by a great wine list and sharp, attentive service. If you can’t check out all the kitchens, worry not as you can head back down again. 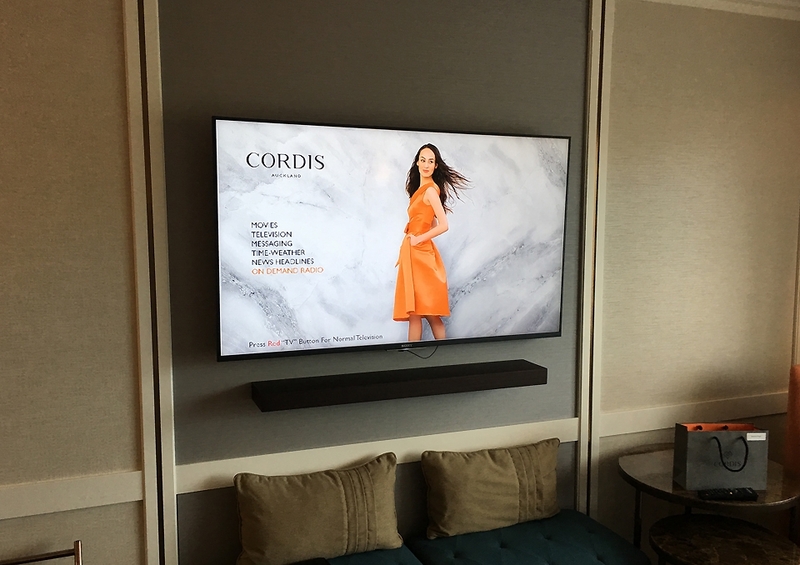 The Cordis, Auckland combines the best of both worlds, work and leisure. It’s convenient location in the CBD and just a short drive away from entertainment precincts. 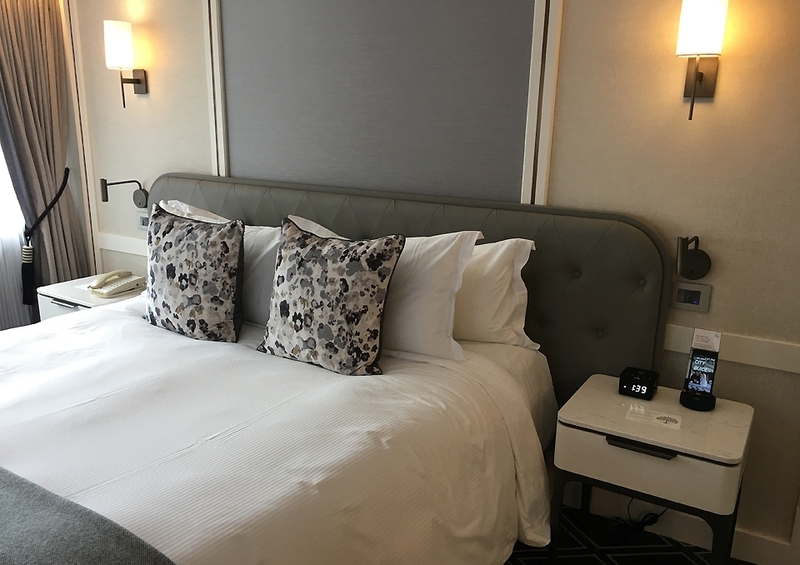 of Ponsonby and Parnell makes it the best fit for a hotel for every occasion. 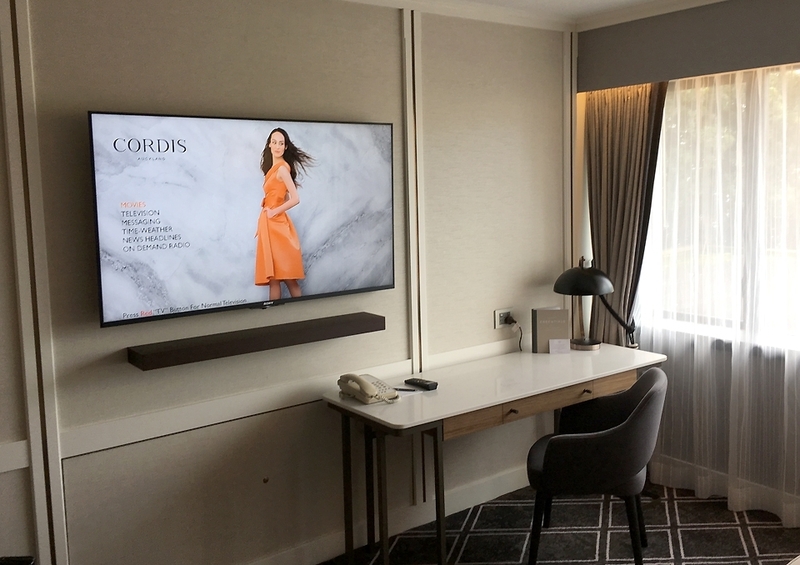 With expansion plans set to make the hotel the largest in Auckland by 2020, The Cordis, Auckland’s new wing will add 250 more rooms and suites taking its total room count to 650 with further enhancements to dining and meeting / event spaces.